The Ford Endeavor (also called Everest, as in the photos) is an SUV derived from the Ranger pickup and is successful in the markets of Southeast Asia, Oceania, and India. In the latter, the sports utility with 4 × 4 tractions gave a shot to knock down two birds, which in the case are the 2.2 older engines of 160 horsepower and 3.2 five-cylinder with 200 horsepower. The replacement of the pair, which is used by both the Ranger medium pickup truck and the Troller T4 jeep, is the new four-cylinder EcoBlue 2.0 engine, which in the Indian case delivers 180 horsepower and 42.6 kgfm, plus a more powerful version with 215 horses and 50.8 kgfm. Note that this last setup is similar to that of Ranger Raptor, made in Thailand. To further enhance the offer, Ford India has incorporated into the engine the new 10-speed automatic transmission, the same used in the Ford Mustang and also in the Chevrolet Camaro 2019. In other words, Endeavor will now have a much superior driving set in technology and efficiency power, and may even receive a 238-horsepower version already seen on the Edge ST-Line. 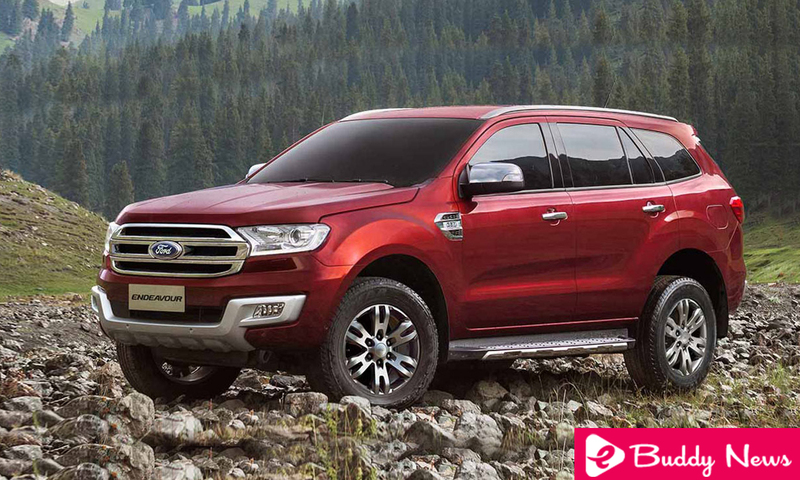 The primary target of the Ford Endeavor 2019 is Toyota Fortuner, which is our well-known SW4. To face the Japanese, the American brand’s SUV has won retouched headlights, updated grille and front and rear bumper with a more stylish look, as well as 20-inch alloy wheels. Inside, the multimedia SYNC 3 with Google Android Auto and Apple Car Play, plus a rear camera and integrated GPS navigator. The Ford Endeavor 2019 also has collision alert, adaptive cruise control, automatic emergency braking with a pedestrian detector, blind spot alert and track with correction, among others. With the new EcoBlue engine, the SUV gains a significant boost in the market. In global terms, the recent propellant expands its participation and can arrive in these bands, since the higher energy efficiency must replace the older motors mentioned above in several countries, making the cost of production of these higher because of the global supply of parts .parts.ition, because it is a single engine, the cost of production will be lower in EcoBlue 2.0 Engine. It is not yet known how far EcoBlue 2.0 Engine can go, but for now, we know that it meets the ranges between 180 and 238 horses. Without seeking a diesel V6, despite using the Lion on the F-150, Ford seeks to employ a single propellant outside the US, while the so-called PSA Power Stroke functions as a smaller option in the states.